The new regional manager for Devondale’s North Devon branches is set to take the business to the next level. Sam Stephens was promoted to the role to foster closer relationships with customers and suppliers, and has been with Devondale for seven years, working his way up from counter assistant to assistant manager at the Barnstaple branch, branch manager at the Bideford branch and now regional manager. Sam’s promotion opened up an opportunity for a new branch manager in Barnstaple; stepping into the role is Lee Warren who joined Devondale at the beginning of November. Lee worked for a national electrical wholesaler for 11 years including roles as assistant manager and sales rep. 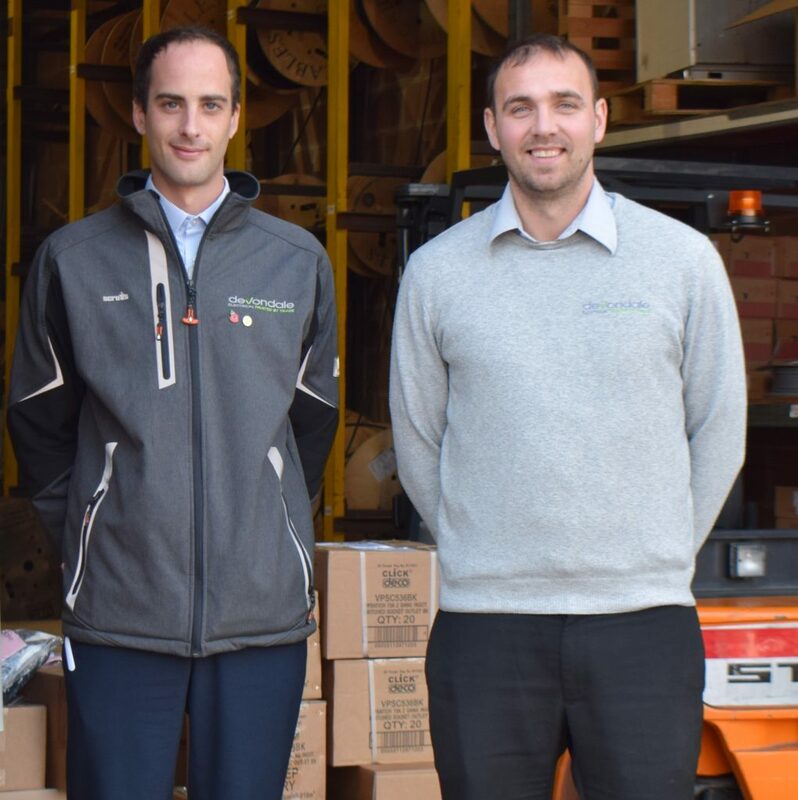 Both Sam and Lee are keen to continue growing the North Devon branches which already work closely together, giving customers access to a wider service. As well as maintaining the existing region, the pair are also keen to establish Devondale better in nearby North Cornwall. The two branches are committed to working together with the local community by supporting community projects with donations and sponsorship. These include the donation of electrical parts for a defibrillator in Dolton, contributing radiators to RNLI Clovelly, sponsoring two local football teams and supporting Bideford Boxing Club.